Theo Meiners and I don’t have much in common. He’s a living legend. His list of accolades, if laid out like fresh tracks in the Chugach Mountains, would stretch for hours and miles beyond the reach of the Alaska Rendezvous Guides helicopter. He’s been a ski instructor longer than I’ve been alive, has worked as an examiner for the PSIA for nearly as long, and was part of the Jackson Hole Air Force long before backcountry skiing became “mainstream.” He mapped out many of the first lines in Jackson Hole. He’s also survived not one, but four avalanches, and knows more about snow science than I thought possible. Me, I’m just a girl who likes to play outside. But Theo and I do have one thing in common – we love the peace of mind our sports give us, and we love finding ways to open the possibility of those experiences to others. We caught up on the phone just before he left for Valdez to prep his heli skiing business for opening . For those of us on the East Coast, the ski season is almost over. But for Theo and the Alaska Rendezvous Lodge, the fun is just beginning! 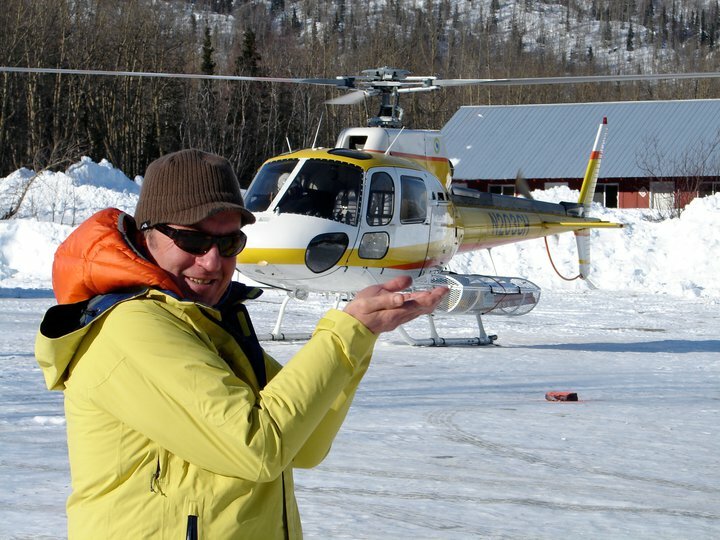 Theo became well acquainted with helicopters after spending four years as a wild land firefighter. After pilgrimages to Valdez to work with the World Extreme Skiing Contest as an avalanche technician and judge, he took a job as a guide with the legendary Doug Coombs and worked his way up the ranks. “Doug and I had been friends for a long time before his meteoric rise to fame in skiing; the guy was a phenom. I learned quite a bit from him even though he was younger than I am. It was great watching him gain his confidence and footing on a global stage." 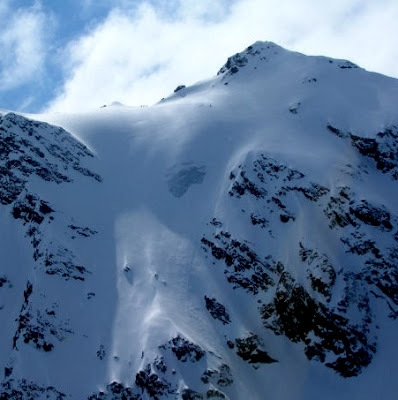 With a desire to make serious backcountry skiing available at a higher level, Theo took his lifetime of experiences and purchased 27 acres of land near Valdez. There, he built Alaska Rendezvous Guides. “We needed property, our own restaurant, our own hotel crew quarters, etc. It took us about four years to gain momentum and for the buildings to be completed. It’s been wonderful…we feel really blessed.” Theo and his team have been fulfilling Alaska backcountry skiing dreams ever since. When asked, “Why Alaska?” Theo launched into a discussion of weather systems, geography and meteorological phenomena, all of which make the Valdez area one of the snowiest places on Earth. In describing how the ARG team chooses where to take clients, he drew me a mental picture of a constellation of stars. “Imagine…each star being a big mountain peak. The peaks are in groupings, and depending on the level of the group, we know where to go. Of course, we’re always looking for the best snow, and we’ll travel long distances to find it.” His incredible passion for skiing and snow science is obvious. Theo has survived not one, but four avalanches. The worst, a Class 4, engulfed him in an area called Clueland in Alaska eleven years ago. Wet autumn snow bends vast forests of 25-30 foot tall aspen, willow, and alder trees, top branches touching the Earth. Packing a serious punch, winter storms bring up to 1200" of snow. Trees are buried and we’re left looking at a huge alpine face instead of a vast forest. On top of that face in that particular valley, surface hoar had developed at lower elevations. It’s an incredibly weak layer and difficult to detect, which can make lower elevations more avalanche prone. Theo hit a weak spot and the entire slope gave way. The avalanche propagated ¾ miles and was so deep that the tall trees, relieved of their burden, all stood up. The helicopter waiting to pick him up below was completely buried in spindrift. Theo was lucky. He wasn’t injured in the first few moments of capture, which was crucial. But he also credits his situational awareness and survival instincts. His expertise in snow science helped save his life. He described the different avalanche zones, the destructive forces of each, and how knowing where you are in the avalanche can be the difference between life and death. He knew where he was, how to handle it, and fought for his life. What surprised me the most about Theo's account of these experienced was the lack of fear and emotion he expressed. After the Clueland avalanche, it took him eight years to visit the spot again. That's the only indication I got that the experiences had any emotional effect on him. What was most obvious, though, is the fact that he's an incredibly intelligent and calculating sort of man with survival instincts some of us can only hope we have when the time comes. “At Alaska Rendezvous, our credo is: ‘We are all students of our environment, and we will never stop learning and never stop training.’"
Though a legend in his own right, Theo credits a number mentors with helping him develop direction and understanding. He'll always be a student, and always looks to learn more. His list of mentors include Karl Birkeland, avalanche scientist, Bruce Jamieson, avalanche researcher, Dave McClung, co-author of The Avalanche Handbook and Rod Newcomb, founder of the American Avalanche Institute. Ski mentors and training partners include Jackson Hole skiing legend and Olympic medalist Pepi Stiegler along with Fritz Stamberg among many others. 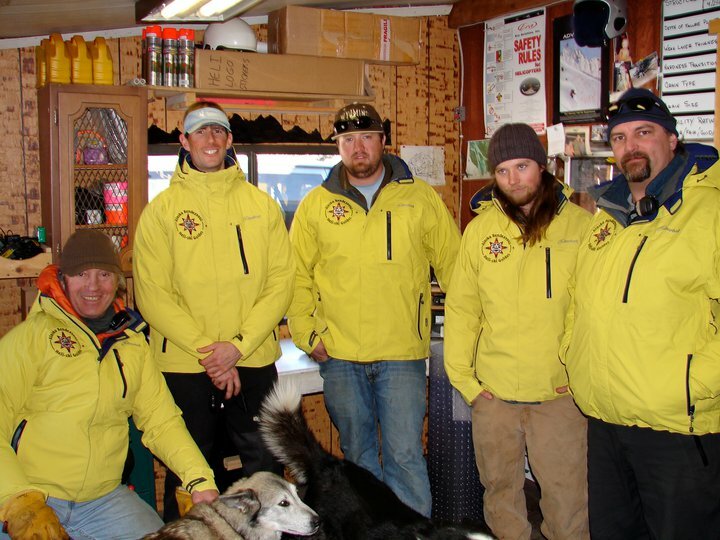 So, if you're ready for it, Theo and his crew open the Alaska Rendezvous Lodge opened at the end of February. Give him a call and let him show you the experience of a lifetime. Or just travel to Valdez and revel in the fact that you're in the company of a legend. Wow- what a great article. You did a great job interviewing him and putting it all together on paper. Maybe when I'm a good enough skier to ski Valdez, I'll go up there and visit them. will lead to disaster ... just hope he doesn't kill others along the way.